Raise your hand if you have ever felt silenced before. If you’re anything like us, you probably have. Maybe it was in a classroom, in a relationship, in your family, or even just in general when you are trying to join a conversation. Well, you’re not alone. “I first started making zines in my last semester of college, because I was studying journalism and I felt like I had no place to publish what I was really passionate about,” said Charissa Lucille, a self-published zinster, owner of the Wasted Ink Zine Distro and organizer for the Phoenix Zine Fest. After pursuing a degree in journalism Charissa felt her writing was stifled, like she couldn’t take a chance writing anything that could be considered an opinion. You aren’t supposed to have an opinion when you are a journalist and and four years of being told to keep it to herself, she had had enough. So she decided to take her voice back into her own hands. She started working on her first zine her last semester of college. For those who may not be familiar, a “zine” is a self-published magazine that can contain any topic, style, color or design it wants. It is usually created by an individual or a small team of people. “It is introspective. It is diving deep and kind of uncovering all the parts of me that I might not think are all that important or story worthy, but there’s always another person that connects to those stories,” she said. Most of Charissa’s zines follow the topic of feminism and, in recent years, have a focus with photography and prose in the publications. Her zines are personal and reflective of her own life. Her zines have blossomed from something she was just doing in her freetime to a passion project she just couldn’t keep quiet about. She has now made about 15 zines (some collaborative projects, some individual) since beginning four years ago. Three years ago, Charissa opened up the Wasted Ink Zine Distro in Phoenix where she started building a library and collection of zines from around the world. Walking into the distro is like stepping into a time capsule (a capsule with an adorable octopus painted on the wall). It now houses over 250 artists with some zines going all the way back to the 80’s. “I think holding that space a very interesting challenge and learning process, and I’m definitely not done learning,” she said. 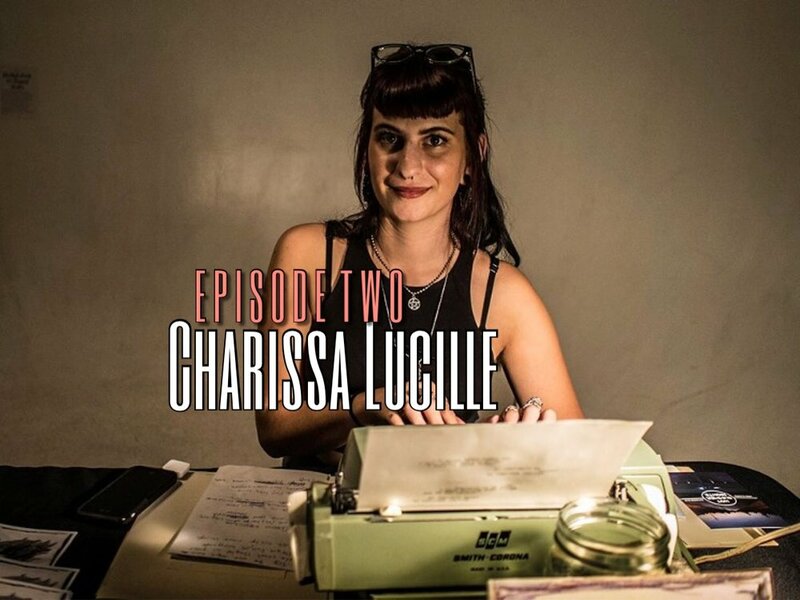 On top of running the distro, Charissa also hosts various workshops for the community and helps to organize the Phoenix Zine Fest. Like any good leader, Charissa has made it a priority to make the space a welcoming one. With so many young, vulnerable and interested individuals who attend these things, she knows just how important it is to make them feel they can speak up. Charissa says she knows how important it is to carry a diverse voice within the distro, because it should be a space for everyone. She continues to grow and develop the zine community in Phoenix despite any challenges that are thrown her way. You can follow Charissa and all of the amazing stuff she is doing on Twitter and Instagram. ALSO, you can attend the Phoenix Zine Fest and meet her and a bunch of other really cool people (like us here at the podcast, we’ll be there) on October 28th! Still want to know more about Charissa and self-publishing? Click here to listen to the full episode!